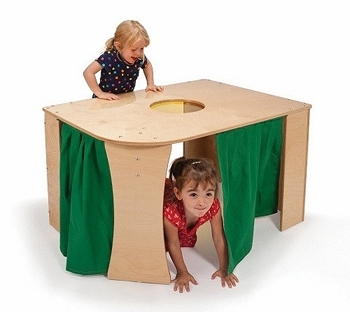 Our Strictly for Kids Kiddie Condo Preschool Mainstream Loft brings a home-like feel to the preschool classroom. 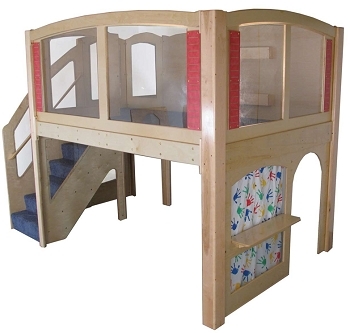 This is the best built, longest lasting, beautifully crafted line of play lofts on the market today! 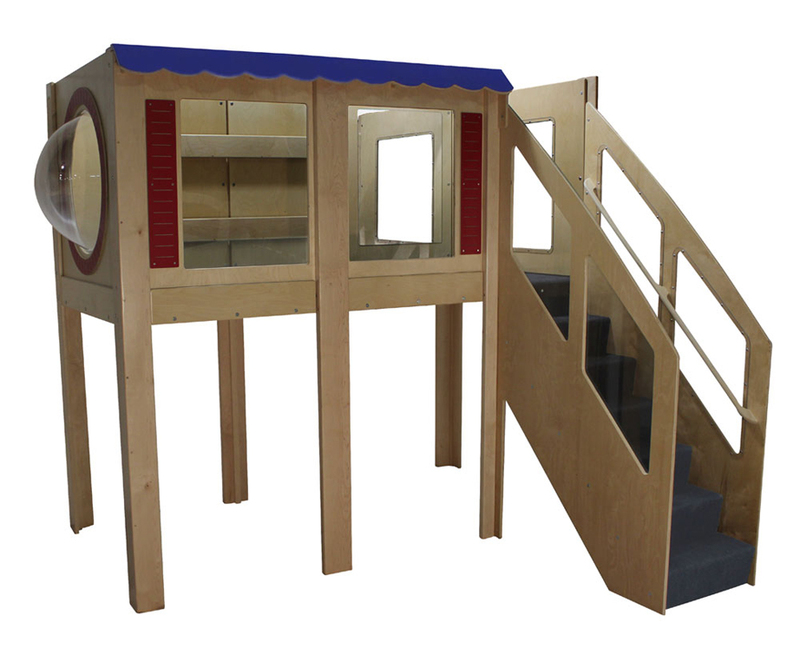 It adds additional space to the environment, promotes reading, encourages dramatic play and helps develop socialization skills. 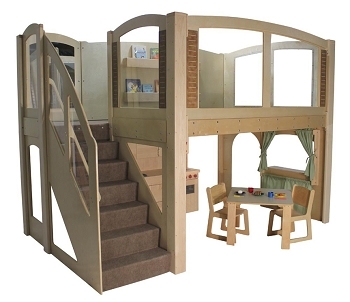 The cubby space under the stairs will become the children's favorite private space. 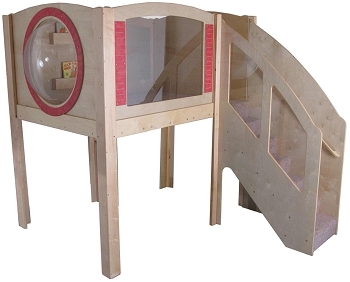 Super industrial strength construction of solid maple, Baltic Birch plywood, clear unbreakable polycarbonate windows, 3-coats of waterborne finish and fully carpeted. The faux Awning, Shutters and Bubble Ring are constructed of heavy laminate, providing a maintenance free touch of color and class. Fully carpeted (Blue color is standard, or you may select Beige, if preferred). The steps are on the Right (or select steps on Left, if a reversed design is preferred). 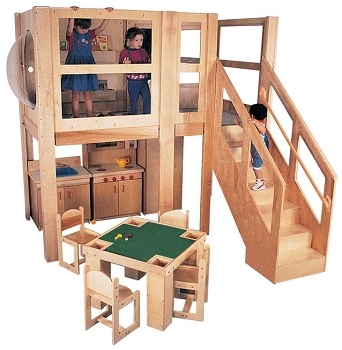 Assembles easily within approximately 1 to 2 hours; tools and hardware are included (we recommend using a cordless drill). 96"w x 48"d x 52"h platform, 49"h head clearance, 110"w x 99"d x 94"h overall. Lifetime Warranty.